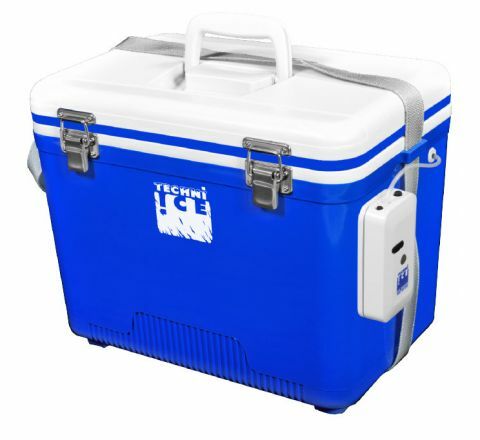 The Techniice Bait Boxes are designed and constructed for both for Salt water and Fresh Water Fishing applications. 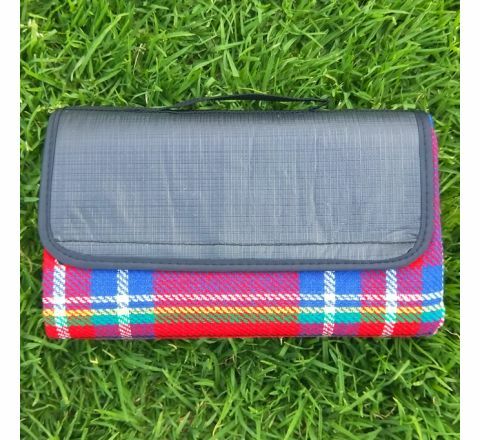 They are Ideal for use on Boats, Jet skis , Kayaks, in your car or even when you are peer fishing. Techniice Bait boxes are available in two sizes 18L and 28L. 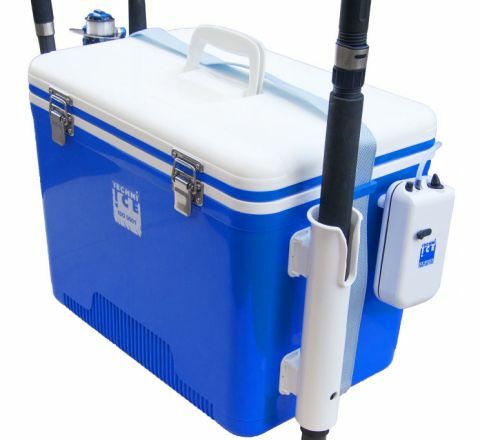 These high Quality Bait boxes are insulated with high density PS foam to keep Bait cool .This insulated Live bait cooler also doubles as an icebox to keep your bait fresh on Hot Summer days. These Bait boxes are built with an Air Tight Gasket Seal and they are built with Marine Grade Stainless Steel compression Latches . 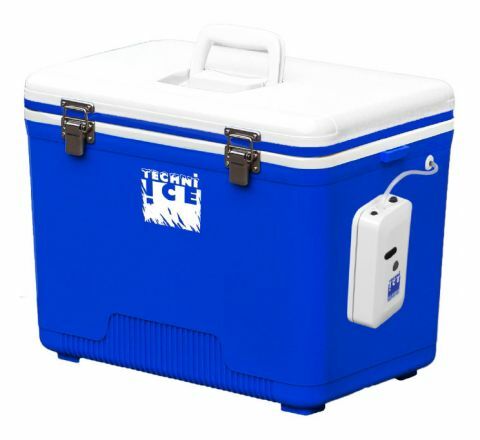 They Also come with a Comfortable handle and shoulder strap .Techniice Bait Boxes come with a Powerful 2 speed Aerator(Air Pump) pump which works on 12volt power source through a cigarette lighter socket or Uses 2 x D Size batteries. A weighted air stone with tube is also included. 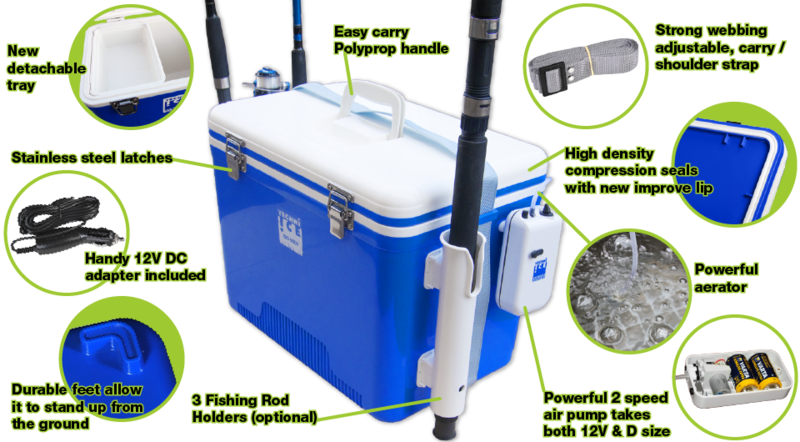 The box can be used for storing live / frozen bait. The aerator (Air Pump) pumps fresh air into the box with the help of a weighted air stone which should be submersed in water inside the Bait box. 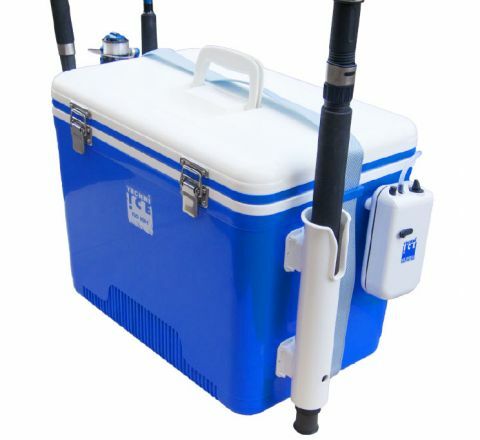 The air pump is detachable leaving you with an option to convert this live bait cooler into a convienient ice box for your Next BYO / BBQ .